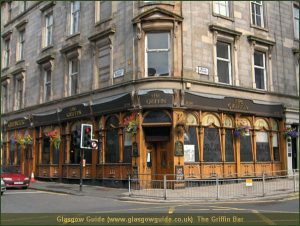 If you are looking forward to your up and coming trip to Glasgow, it is certain that you will be looking forward to sampling some of the traditional pubs as much as anything else. 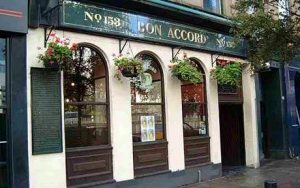 Many of these hold a lot of history and have a fine range of drinks for you to enjoy, so if you are the kind of person who really enjoys having a good time, you will love this list of traditional pubs in Glasgow that we have put together for you. This pub is almost 200 years old, and one of the things that it is known for the most is the huge mural on the side of the pub, which depicts famous Glaswegians including Billy Connolly and Jimmy Reid. There are a number of traditional ales available here which you simply have to try, and there is also music on every night, which means that you can sit back and enjoy the atmosphere whenever you choose to visit. This pub opened back in 1971, and now has an impressive list of more than 900 different beers for you to choose from. It is almost impossible to try all of them, however if you visit Glasgow regularly then this is something that could become somewhat of a project for you. Not only is there such a stunning collection of beers, but you are also able to enjoy many whiskies, in the bar that was voted the best whisky bar in the UK back in 2014. If you are looking to enjoy a truly traditional and quaint Scottish pub, then you can be sure that The Drake is by far one of the best ones for you to visit. The pub itself is beautiful, with exposed stone walls and a coal fire, and the bar is incredibly well stocked – which means that you’re not short of options if you choose to pay a visit here. Originally built in 1903, this pub has a long history within the city. Although it has been renovated, meaning that there are many modern features, there are also lots of the original features that have been kept, and this means that you can enjoy modern features and traditional comforts at the same time. If you’re interested in theatre, then you may like to know that this pub is particularly popular with cast and crew from The King’s Theatre, so you never know who you might bump into! This was first built in 1797, and was supposed to be a coffee house originally. Over time however, the menus increased, and the building started serving alcohol. In this way, it gradually became the pub that is so loved in the city today. The building stretches out over three floors, and there are many of the original features from the very first building still visible here. If you have any kind of interest in the historical architecture of the city, you may find that this pub is one that you just have to see thanks to the remaining original features that are inside it. 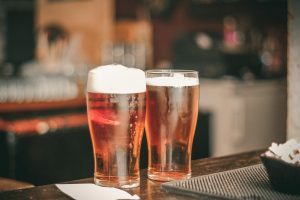 No matter what kind of drinks you enjoy, you will be able to find them in Glasgow thanks to the fact that there is such a fine selection of pubs for you. 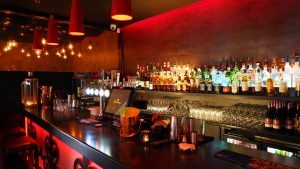 There are almost endless choices, so it might be a wise idea to map out anywhere that you would like to try before you leave for your trip, as this means that you can sample as many of Glasgow’s traditional pubs as you can, without having to worry about missing out any of the main ones that you wanted to see.